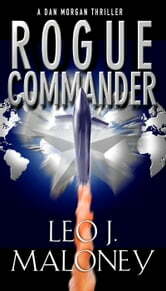 From Black Ops veteran Leo J. Maloney comes a nonstop thrill ride straight into the secret world of covert agents . . .
Four-star general James Collins has been accused of stealing a cache of Tomahawk missiles—and reaches out to his friend, CIA veteran Dan Morgan, for help. But Morgan is playing with fire. The Zeta Division, chasing down a black-market middleman, discovers a connection to a North Korean military officer—and one of his team winds up a prisoner in Pyongyang. As Morgan takes a series of escalating risks, it becomes clear that a global plot is already in motion—and if they can’t stop it, an unimaginable number of innocent civilians will be slaughtered . . .